This entry was posted on 19th January 2018 by WoodBlocX. Our design team thrives on creating bespoke solutions for challenging projects to create long-lasting and maintenance free structures for the garden. Here’s a few of our favourites from 2017. 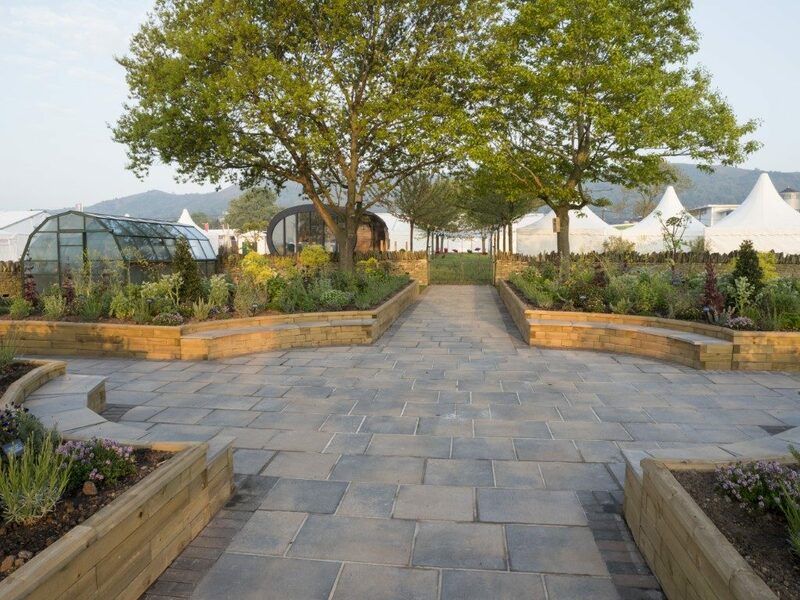 An amazing project to work on was at RHS Malvern, where we worked with garden designer and gardening expert Jekka McVicar. 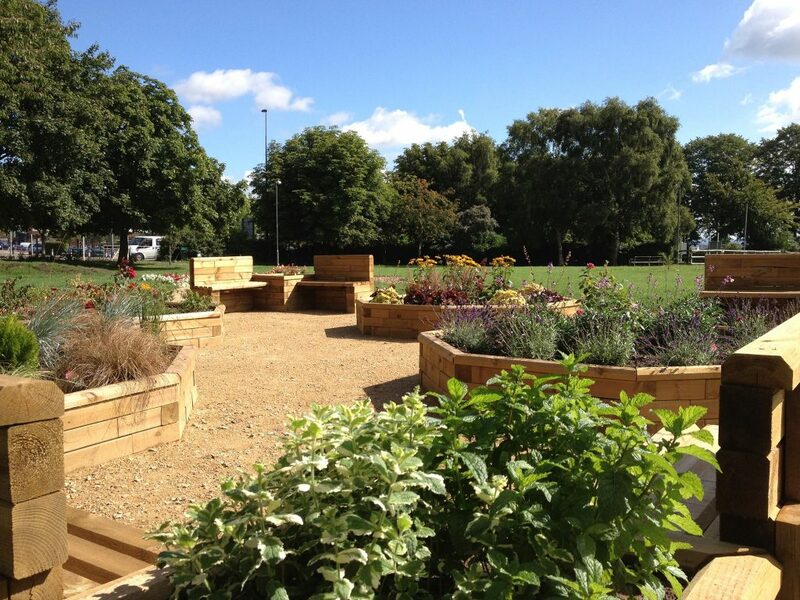 It was a huge design as part of the Health & Wellbeing Garden in support of the Pathways charity, and incorportated large curved planters that revealed a central seating area. 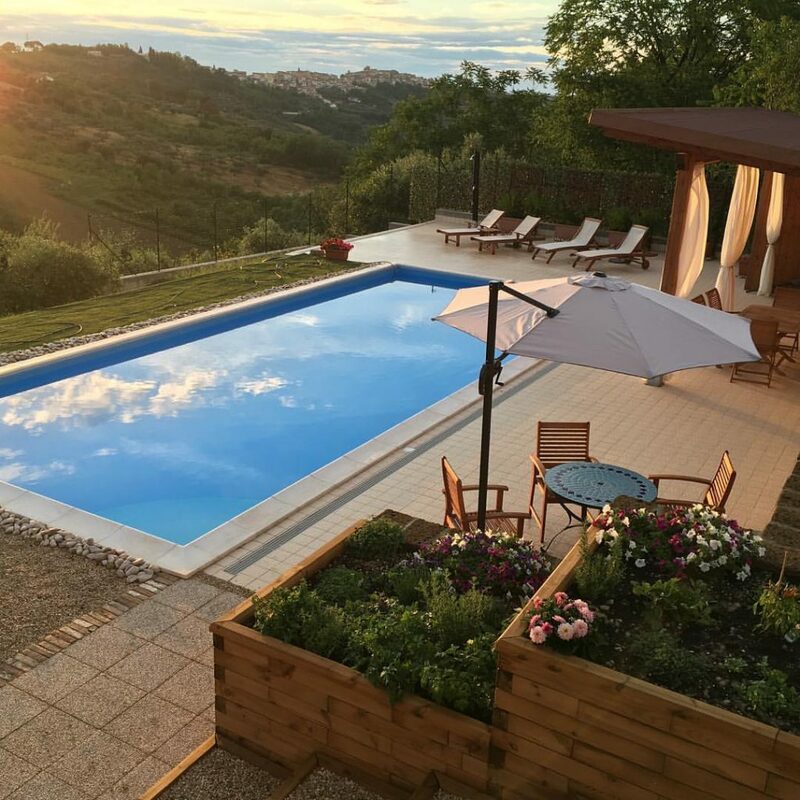 If only we were blessed with more sunshine here in the UK…Jerry is certainly making the most of it in the Italian Apennines, combining planters and steps to landscape his sloping plot and make the most of the stunning views. 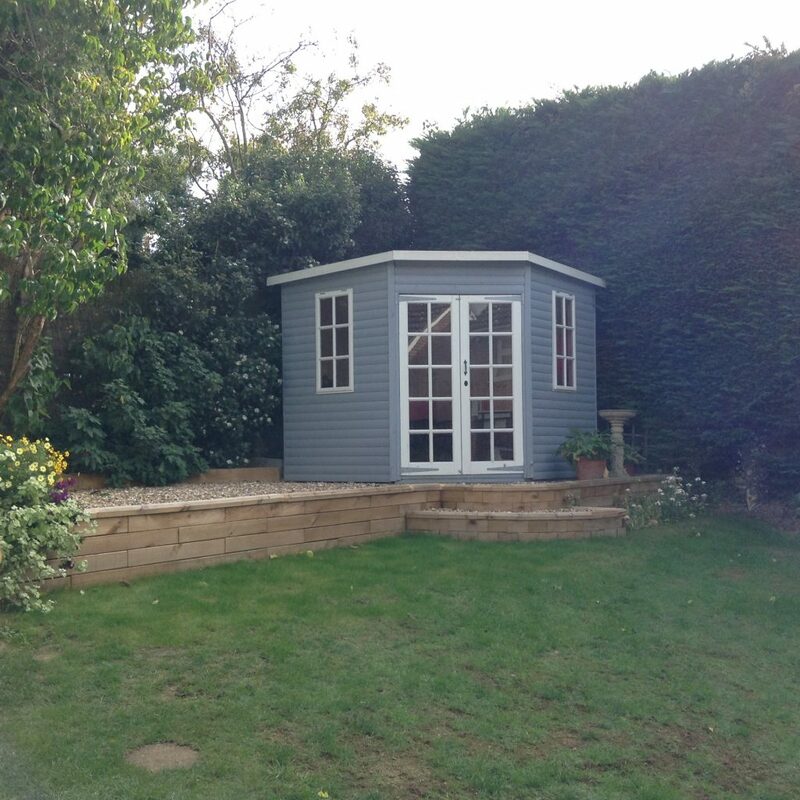 We’ve all got an area in the garden that could look better or needs a bit of work. Ian had this problem but he also had an access problem; all materials would need to be transported through his house. 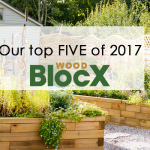 This wasn’t a real issue as the WoodBlocX system is modular, making it really simple to move from the front to the back of the house by hand. 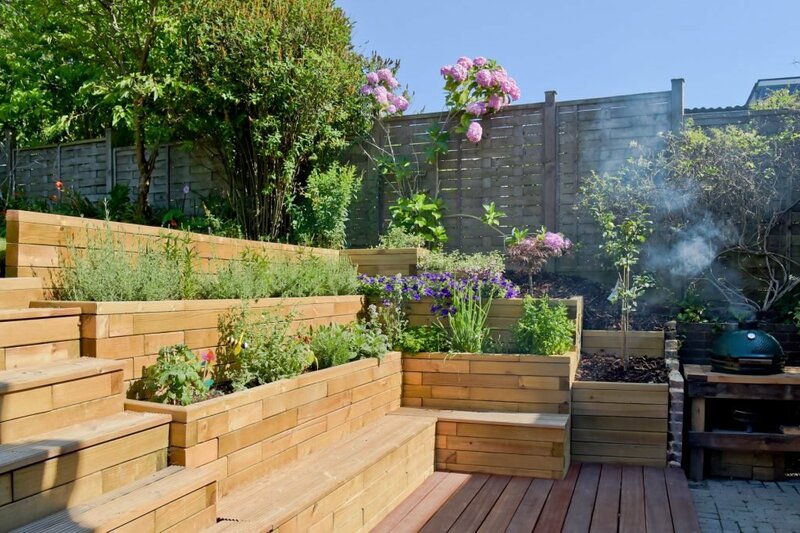 Ian’s design included low-rise retaining walls that included steps and planters to bring the design together. This is a brilliant example of a community coming together to create something they can all share. The layout needed to be easy to access with seating included. 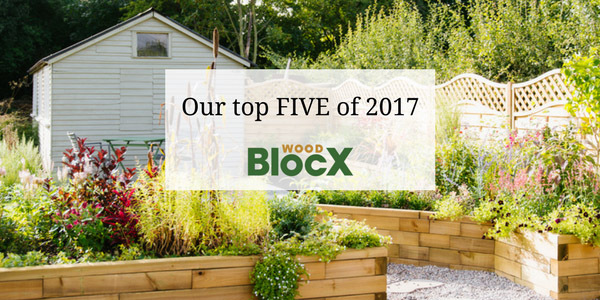 The finished design combined four large octagonal planters bordered with seating and planters, and because WoodBlocX are maintenance free they can be left to age naturally.